“Drive other cars” (DOC) commercial coverage may be important for most business owners, employees or partners who have a motor vehicle owned in a corporate capacity. “Drive other cars” coverage is absolutely essential for anyone who has a car owned by a corporation, Limited Liability Company LLC or business entity, when the person does not have a motor vehicle titled in their name. Driving an automobile owned by a friend, neighbor or coworker. Driving a car owned by your spouse in which you are not a named insured. Driving a motor vehicle owned by a third party. The drive other cars coverage is very different from the drive other cars exclusion. Here is an example if the potential pitfalls of an employee or executive not having “drive other car” coverage. John is an employee of Small Town Sales Inc. In his capacity as a top sales representative, the company provides him an automobile. Paul is under the mistaken assumption that his insurance coverage is comprehensive and there is no need to explore the issue further. He has peace of mind because his company provides him “full coverage” with 1 million dollar liability in the event of motor vehicle accident, collision coverage as well as underinsured and uninsured motorist coverage amounting to 1 million! Paul also uses the car for personal use. As a result Paul does not own another vehicle. Paul is out with his buddy Jim using Jim’s pick-up truck. Jim was drunk and as a result, Paul graciously offers to drive his car home. On the way home, a semi-truck (tractor trailer) slams into the pickup truck he was driving in a rear end crash. This caused Paul to have several fractured disks, a broken leg and traumatic brain injury. He is totally disabled for year and he has several surgeries. Sadly the semi-truck OWNER let his insurance LAPSE FOR NONPAYMENT. His buddy Jim only has $25,000 of uninsured motorist coverage which is the minimum required by the state. Paul is only able to collect the 25k uninsured motorist policy. He is unable to get the 1 million dollar underinsured coverage in his commercial policy. 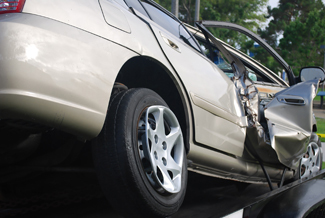 Paul never looked into the terms of his commercial policy to insure that he was covered for truck and motor vehicle collisions when he drove other cars. Paul did not have the drive other car coverage. He is forced to live for the rest of his life on social security disability of $1,800 a month and live in subsidized housing as a result of the trucking accident. He also cannot afford a home nurse to care for him. His house is also foreclosed on him and he declares bankruptcy. Paul receives no uninsured motorist coverage because he failed to request from his company a drive other car endorsement. According to Clark Mortenson, “Drive other car coverage provides liability, medical payments, uninsured/underinsured motorist, and physical damage coverage for the personal use of a non-owned automobile by the individual you wish to protect. If an individual, for example, a company officer, does not have their own personal auto policy, and drives a corporate car, you would want to add this coverage to protect them from exposures such as borrowing a neighbor’s vehicle, or renting a car on vacation with their family. If your business is a sole proprietorship, you should have the Individual Named Insured endorsement attached to your business auto policy to provide you with the same coverage.” http://www.clarkmortenson.com/for-your-business/insurance-bonds/business-auto-insurance/drive-other-car.